Win, lose or draw, Daniel Cormier (pictured) was going wreck some Popeyes Chicken after Saturday’s fight against Dan Henderson. 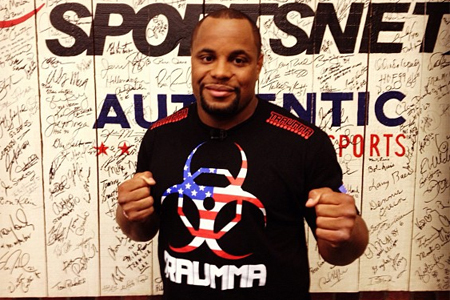 Luckily for Cormier, he can inhale the deep fried chicken with a smile because he dominated Henderson at UFC 173. With all due respect to Henderson, who only clocked 199 pounds on the scale at Friday’s weigh-ins, Cormier threw him around the octagon like a ragdoll. It appeared as though Cormier was well on his way to posting a lopsided unanimous decision victory until he locked in a rear-naked choke with 67 ticks remaining in their scrap. UFC 173 took place inside MGM Grand Garden Arena in Las Vegas, Nevada.